Hada Labo tokyo™ Gentle Hydrating Cleanser 5 oz is rated 4.6 out of 5 by 76. Skin-cushioning foaming cleanser washes away dirt, oil, and impurities from skin while protecting and locking in essential moisture. Skin is left feeling refreshed, silky-smooth, and healthy looking. Moisten face and hands with lukewarm water. Apply a pea-size amount into palm and work into lather. Gently massage onto face, using circular motion. Rinse and pat dry. Hyaluronic Acid PLUS: Powerful hydrator, merges with skin providing 2 times more hydration than regular Hyaluronic Acid to help maintain skin’s natural hydrating levels. Hyaloveil®-P: Special Hyaluronic Acid designed to adhere to skin, providing effective moisturization even after rinsing. Safe and gentle cleansers derived from natural amino acids. Rated 5 out of 5 by Gypsynurse66 from Excellent choice for dry skin gals I was extremely happy to receive this #freesample for review as I've become aware of the Hada Labo brand through Ulta. I'm 51, menopausal dry skin that's mostly normal without breakouts. This cleanser smells good, has gentle creamy foam and washed my face of skincare, spf and makeup from a long day. I used it alone, and also as a second cleanser. It never left my face feeling parched or squeaky clean. It was very soothing and the hyaluronic acid in the cleanser definitely helped my face feel moisturized. I would have to say that this gentle hydrating cleanser does what it says and works for me. I'm not shy about giving an opinion good or bad about something because we all work hard for our money! This will remain a staple in my skincare routine. I'm also glad we can buy this brand at Ulta!! Rated 5 out of 5 by KeishaN from So gentle I really love how gentle this cleanser is. It is thick and creamy, so you won't have to use a lot. A little bit goes a long way. It is hydrating, and cleanses your skin and actually locks in moisture. I think it foams up rather well. Like I said, you only need a little bit. Moisten your face and go to town. I usually use mine in the shower. After using my face is always baby soft and I feel more refreshed. My face isn't as dry either. Rated 5 out of 5 by GizmoKris from Excellent product! If you're looking for a gentle cleanser with no scent, that works great on super sensitive skin, then look no further. I've used this product for over a week now, and I don't have a single blemish in my skin whatsoever. I usually use an expensive department store brand on my skin because I have dye allergies along with uber sensitive, dry skin. This cleanser has most definitely replaced the costly stuff because I can use it & go and not end up dried out or feeling like my skin wants to crack. I definitely recommend this to anyone with acne prone teens or just sensitive skin all around. Rated 4 out of 5 by Mikap149 from Great for daily uses! This cleanser is perfect as my everyday cleanser. For my oily and acne prone skin, I prefer to double cleanse with a cleansing oil to remove my makeup and this cleanser to actually cleanse my skin and the oily residue leftover from the cleansing oil. It is gentle enough to not dry out my skin but still good enough to remove any dirty stuff from being out and about all day. There is a light fragance, but it's very faint and quite pleasant and does not irritate my skin at all. Overall, great cleanser and highly recommend if you are looking for a new gentle daily cleanser. Rated 4 out of 5 by MommyQi from perform as described I have never used this cleanser before, but after using it, I have to say it is a great product and performs as its description. It cleans well without drying the skin, and also has not irritate my sensitive skin a bit. It foams well, too, which is what I also look for in a facial cleanser. The reason for only a 4 star rating is that, although I love the fact that it is fragrance free, it's not scent free. It has a ointment scent, maybe from one of the ingredient, which I don't really enjoy. Other than that, I will definitely recommend this to others. Rated 5 out of 5 by cung from Cleanser that leave skin supple I've used it morning and night for the past 3 days. Skin feel soft and not dry at all. It's summer now, I hope it will continue to do this magic in the winter. I think this is the first step to achieve elasticity back for the skin. Love this cleanser and will introduce it to my teenage daughter. one thing I think it'll improve id that if it also provide a fragrance version wil be great. Rated 5 out of 5 by Antonina83 from Amazing cleanser! Texturally, unlike the heavy, messy, soapy cleansers, this was actually light and foamy. After using it, my skin felt clean, without feeling stripped and irritated.A pea sized amount is all you need to create a great foaming lather for your face and neck. .I Use it with a Clairsonic. A little bit goes a long way! 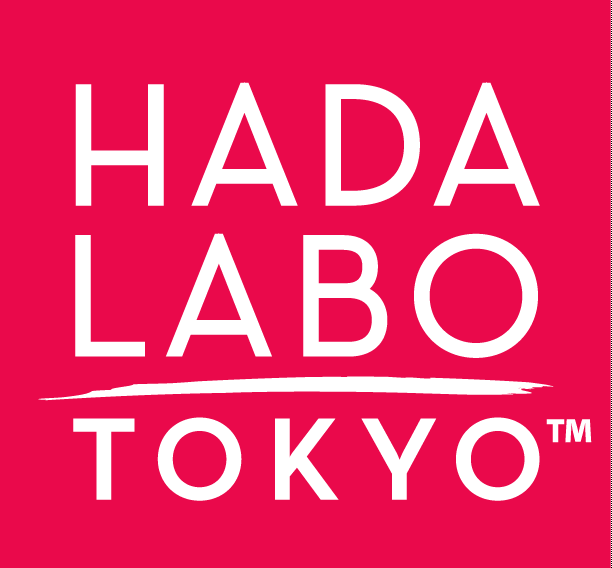 Another amazing product from Hada Labo tokyo™. Rated 3 out of 5 by blissxp from Cleans a bit too well This product did remove all my makeup but however, I felt like this cleanser was too harsh on my skin and made my lips super dry after my shower. I also didn't like the smell of the product. From the looks on the container I thought this product would smell amazing so I was shocked to find it to smell the way it did.